Confused about Level 2 cards? 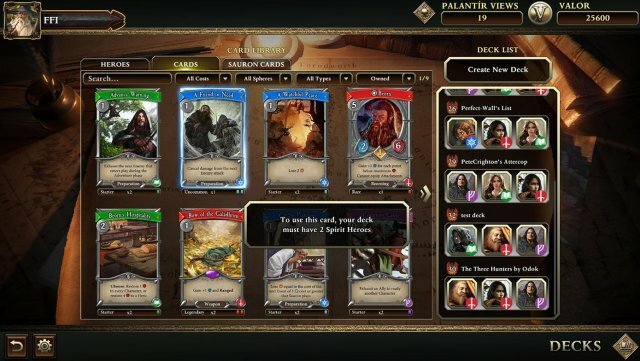 Wondering why some cards aren't showing up in the deckbuilder? This quick guide breaks down Level 2 cards with everything you need to know. Quest 1.1 on Easy with Starter Deck. Leadership - Represented by the color purple, emphasizes the charismatic and inspirational influence of a hero. Lore - Represented by green, emphasizes the potential of a hero’s mind. Spirit - Represented by blue, emphasizes the strength of a hero’s will. Tactics - Represented by red, emphasizes a hero’s martial prowess. Some cards are Neutral, meaning that they don’t fall under any of the Spheres. Neutral cards have a grey frame. They can be included in any deck, regardless of its Heroes’ identities. Your Heroes determine the Spheres allowed in your deck. If you take a Lore Hero, for example, you’ll be able to put Level 1 Lore cards in your deck. What are Level 2 Cards? 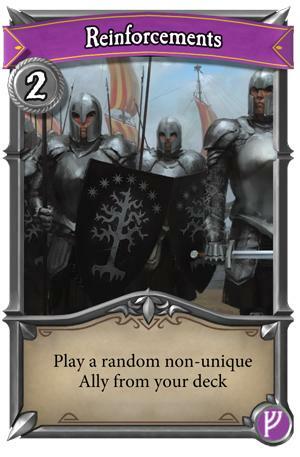 Some cards in LOTR: LCG are Level 2. if you take two Heroes of a single sphere in your party, you can include Level 2 cards in that deck. Level 2 cards are inherently more powerful, because they’re more specialized. They’re better at playing a certain role, but their effects are more narrow than Level 1 cards. For instance, Reinforcements is a Leadership Event card that pulls a random non-unique Ally from your deck and puts it in play. This card imposes a deckbuilding restriction; if you put it in your deck, you’ll want to have several powerful targets to make it work. It changes the way you think about deckbuilding, because it requires you to build a certain way. This is generally how Level 2 cards work. They challenge the player to think about deckbuilding on a new axis or to play to a certain strategy, and they reward that player, in turn, with a special effect that’s hard to find elsewhere. How Do I Know if a Card is Level 2? You can tell that a card is Level 2 by checking its "pips” in the deckbuilder. Under the card, there will be two pips of the appropriate color, indicating that this is a Level 2 card. It’s important to note: Even if you have one Hero of the appropriate Sphere, you won’t see Level 2 cards in your deck unless you have a second Hero of that Sphere. This is why cards like Reinforcements, Bow of Galadrhim, and Mablung don’t show up in the deckbuilder during construction with a single Hero of their Sphere. 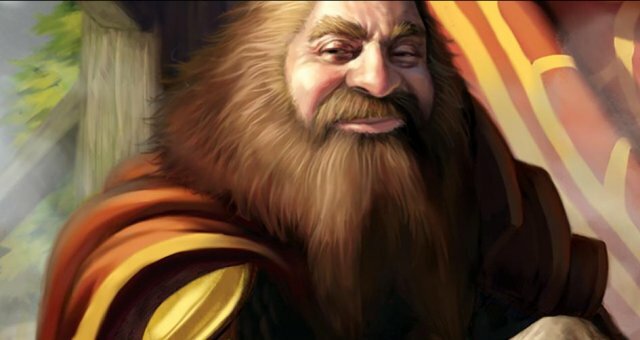 Will There Be More Level 2 Cards in the Future? Absolutely! 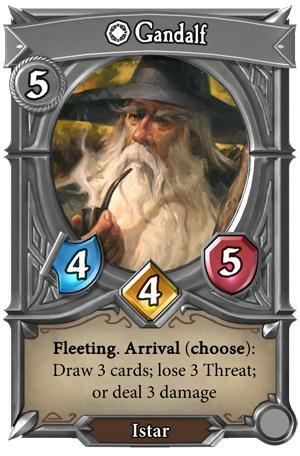 As the card pool grows, taking two Heroes of the same type will become more and more viable. We plan to support double or even single Sphere decks with interesting cards built around a Sphere’s identity. Do You Have a Level 2 Decklist I Can Try?